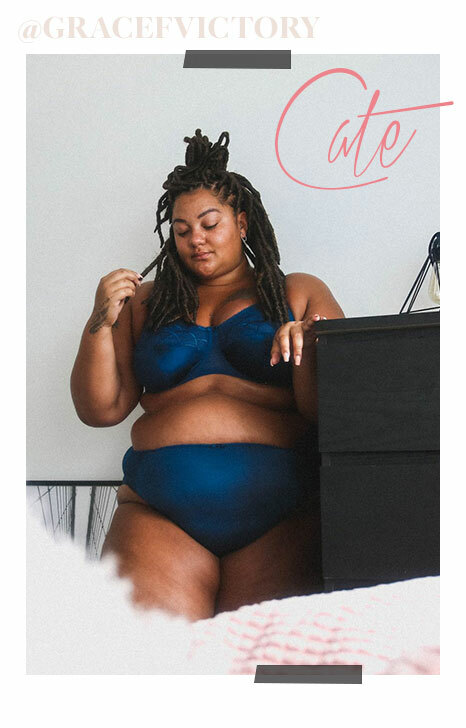 Elomi’s iconic Cate collection returns in a deep Petrol shade, showcasing a luxurious satin sheen fabric with sheer top cups decorated with a stylish intersecting arc design, providing supreme comfort through three piece cups and side support mechanisms. The Cate collection in Petrol currently offers an Full Cup Banded Bra (38-46DD, 34-46E-HH and 34-42J-K), complete with matching Briefs (M-4XL) designed to flatter the leg and waist. Another firm favourite is Carmen. Updated for AW17 with a rich Ink tone, the collection is crafted from matt simplex, overlaid with a soft stretch lace and finished with a contemporary crochet trim allowing complete ease of fit. The collection offers an Plunge Bra (36-46D-DD, 36-44 E-FF, 34-44G, 32-42GG-HH, 32-40J-JJ) featuring a low cut neckline and side frames for support and lift, completing the look with Carmen’s matching Briefs (M-XL).